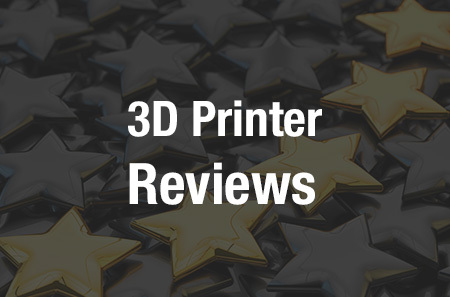 It’s an understatement to say that we hear about a lot of ingenious uses of 3D printing on a regular basis. One of my favorites, and one of the most brilliant, in my opinion, is the way that several scientists have used the technology to save endangered coral reefs. We’ve taken a look at the work that Reef Design Lab has done, as well as Fabien Cousteau and Dr. James Gardiner, and while the methods and locations may differ slightly, the goal is the same – to help failing coral reefs to restore themselves with the help of some 3D printed supplementation. Dr. Renata Ferrari of the University of Sydney has taken a multifaceted approach to her work with coral reefs and 3D technology. Every plan of action starts with gaining as much knowledge as possible, and that’s what Dr. Ferrari is doing with the help of her supervisor, associate professor Will Figueira: she’s creating a virtual map called the Ecological Modelling Hub that will help scientists to carefully measure and monitor how the reefs are changing as a result of climate change and other human activity. She has uploaded several 3D coral models onto Sketchfab; 25 of those models were taken for the specific purpose of tracking the growth and erosion of live and dead coral colonies over 13 months. Over that time, Dr. Ferrari said, the dead colonies eroded by 52%, while the live ones grew by 20%. “3D models are a very accurate and precise method to quantify both volume and surface area of coral colonies in situ without manipulating them, thereby avoiding the negative effects on corals associated with other more invasive methods such as change in volume measured by weight,” she explained. The models, which were made using photogrammetry, can also be 3D printed and potentially planted on the reefs themselves to support new growth. Unlike other artificial reefs, which have in the past been made from cinder blocks or even deliberately sunk ships, continued Dr. Ferrari, 3D printed reefs are very close to the structure of natural reefs. In the case of her project, they’re actually identical – she took 3D models from the living reefs before they were bleached, so she has their digital doppelgangers on file, ready to be printed and dropped into the ocean. Once placed on the natural reef, the 3D printed replicas ideally will attract new coral polyps, which will implant themselves, grow, and reproduce, forming new reefs that attract a diverse array of wildlife. Dr. Ferrari has tested her 3D printed coral’s resilience in water and is hoping to plant it on the Great Barrier Reef this year, but it’ll be an expensive operation requiring about $150,000 in funding. While the Great Barrier Reef has been all but written off by some, Dr. Ferrari believes that it can be saved; while large portions of the northern part of the reef have bleached and died, the southern part is still in relatively good shape – and if one part can be saved, the whole thing can potentially be saved. Ultimately, though, these kinds of efforts will all be for nothing if climate change is not addressed in a large, global way. Coral reefs are being damaged in several ways related to climate change, including bleaching caused by warming temperatures, ocean acidification from carbon emissions, and damage caused by strong storms. You can learn more about Dr. Ferrari’s work with coral reefs on her website. Discuss in the Coral Reefs forum at 3DPB.com.